All during the month of October, we are celebrating Chocotoberfest. I am celebrating this with a lovely chocolate peanut butter pie. 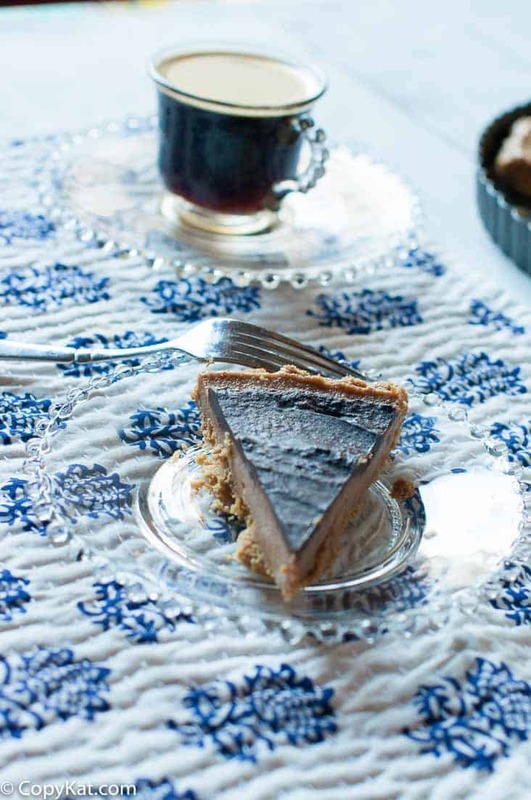 You can recreate this luscious pie at home. Sometimes in recreating a recipe, I don’t succeed in making the recipe just like a particular recipe, but instead, what comes out is a wonderful pie. I have been in love with this peanut butter pie at So Chocolate, it is a local chocolate shop in Kingwood, Tx. They make a lovely light creamy peanut butter pie, it is the only dessert I have bought here. I love their pie. I always make my graham crackers by running them through my blender. You can purchase them already made at the grocery store, but you can also make them up in a jiffy in a matter of minutes. 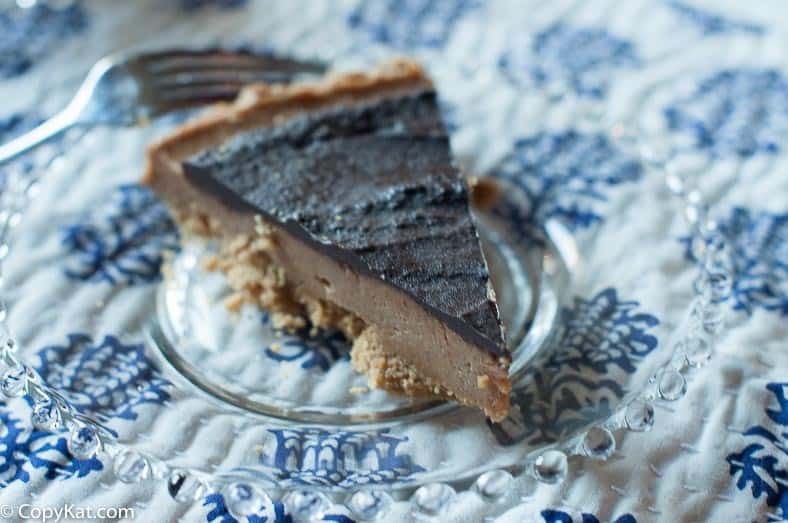 The filling of the pie can quickly be made, and when the pie sets you will make a chocolate ganache to pour over the pie. I love making a chocolate ganache, it sounds fancy, but you are simply heating heavy cream until it boils, turning off the heat, and adding the chocolate. This makes a beautiful topping that can be used on all sorts of desserts. I hope you enjoy my peanut butter pie. It is a super easy dessert to make. You don’t need to be an experienced baker to put together this delicious pie. Enjoy the flavors of chocolate and peanut butter. Preheat oven to 350 degrees. In a bowl mix graham cracker crumbs and melted butter. Bake for about 5 to 10 minutes. Remove from oven and allow to cool to room temperature. In a large bowl cream heavy cream until it forms stiff peaks. With a stand mixer, or another clean bowl cream together cream cheese, peanut butter, brown sugar, vanilla and beat until the mixture is smooth and creamy. Gently fold the whipped cream into the peanut butter mixture. Spoon the peanut butter mixture into the pie shell or tart pan. Place the pan into the refrigerator. Chill for about 1 hour or until the pie sets. In a small saucepan heat, the 1/2 cup heavy cream until it just begins to boil. Add the chopped chocolate to the pan. Stir until the chocolate melts completely. Spread the melted chocolate over the peanut butter pie. Chill pie until the chocolate sets. This pie must be kept in the refrigerator. Love chocolate and peanut butter – definitely need to try this one out! Oops, this pie sounds dreamy. Chocolate and peanut butter is one of my all-time favorite combinations. Yum! oh looks fabulous! I love using tart pans for pies, makes it SO easy to cut and looks pretty to serve too. I love this idea. It makes it so much easier to cut. YUM, like a huge rescees cup. It totally is! I love the combination of chocolate and peanut butter!